The Internet of Things (IoT) is the concept that makes the smart home possible, but Z-Wave is the technology that makes it work together. What it means is, no matter what company you buy your products from, if it is part of the Z-Wave Alliance, you know that they will be compatible with one another. One member of the Z-Wave Alliance is Z-Wave.Me, a company that helps to facilitate the development and production of Z-Wave products. Some of their products are aimed at makers, such as the RaZberry, a module that can connect to any Raspberry Pi model and add Z-Wave capabilities to a project. This is great for either an amateur who is learning the technology or making a custom project for their home. It is also perfect for a professional as they prototype a new idea. If Raspberry Pi isn't your platform of choice, the company also offers the Z-Uno, an Arduino Uno-inspired board that incorporates communication for Z-Wave. They also offer the UZB, a USB-interface for being able to control Z-Wave devices from a computer. For a maker or product designer, these capabilities really open up what can be done accomplished in a short period of time. For installers, Z-Wave.Me offers an altered version of the Z-Uno, which comes in a sealed case to prevent atmospheric and weather damage. 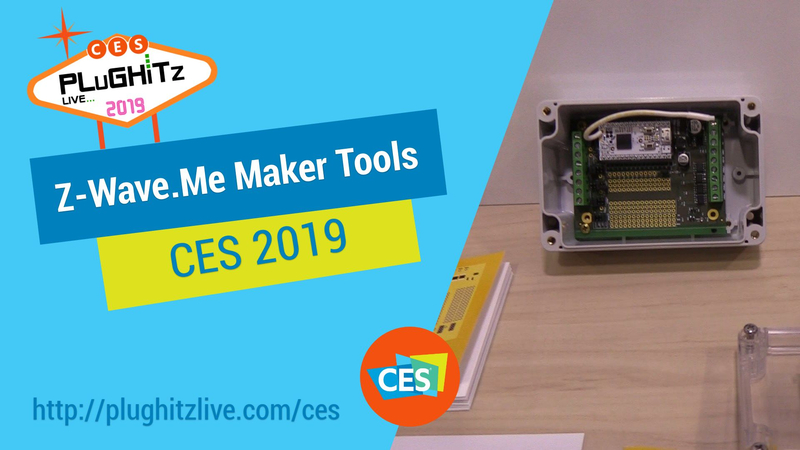 A number of interesting projects have been done using the maker hardware produced by Z-Wave.Me and were on display at CES. For example, a water leak detector, featuring a remote sensor, was built on top of the platform. They also demonstrated an entry control system that uses NFC in the plate to detect a card and sends a Z-Wave command to unlock a door, turn on a light, or any other Z-Wave capability. The RaZberry module is availabe now for $55. The Z-Uno maker board is available now for $70. The UZB interface is available now for $35. Interview by Daniele Mendez of The New Product Launchpad.